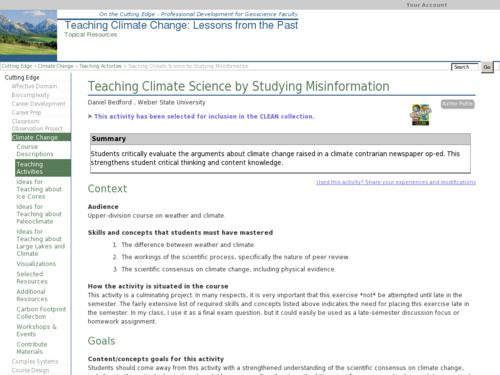 In this activity, students critically evaluate the arguments about climate change raised in a climate contrarian newspaper op-ed. 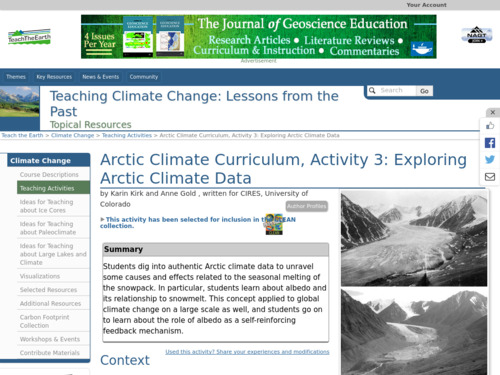 This exercise is intended to strengthen student critical thinking and content knowledge at the end of unit on the climate system. 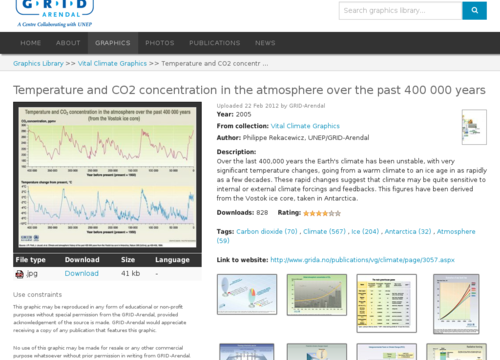 This activity introduces students to visualization capabilities available through NASA's Earth Observatory, global map collection, NASA NEO and ImageJ. 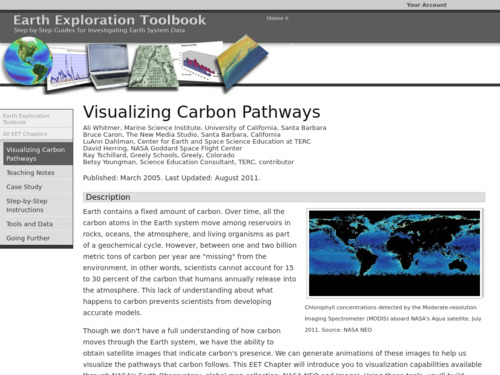 Using these tools, students build several animations of satellite data that illustrate carbon pathways through the Earth system. 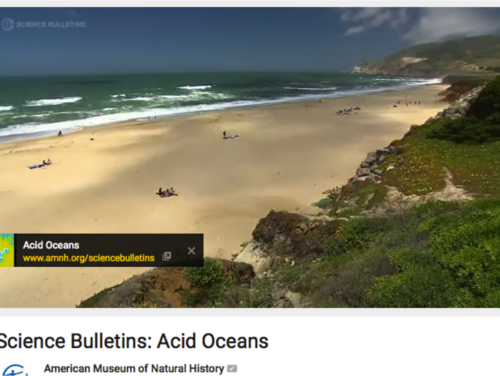 Predicting Patterns: What Does La NiÃa Look Like? 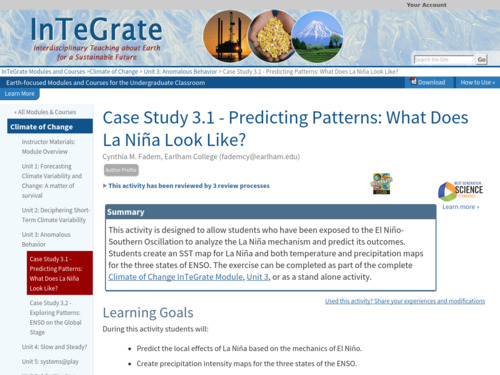 This is an activity designed to allow students who have been exposed to the El NiÃo-Southern Oscillation to analyze the La NiÃa mechanism and predict its outcomes in a case study format. 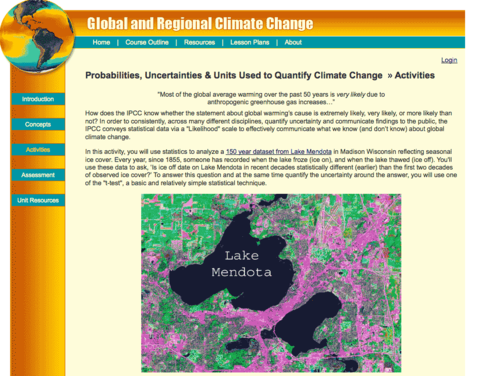 In this exercise learners use statistics (T-test using Excel) to analyze an authentic dataset from Lake Mendota in Madison, WI that spans the last 150 years to explore ice on/ice off dates. 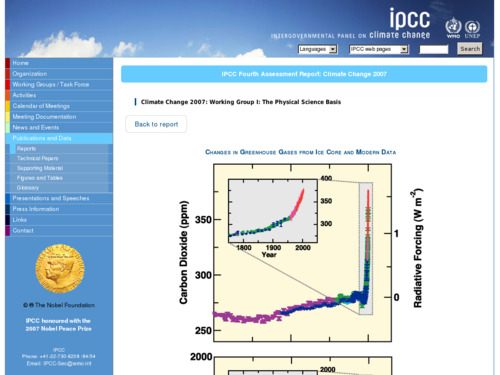 In addition, students are asked to investigate the IPCC Likelihood Scale and apply it to their statistical results. 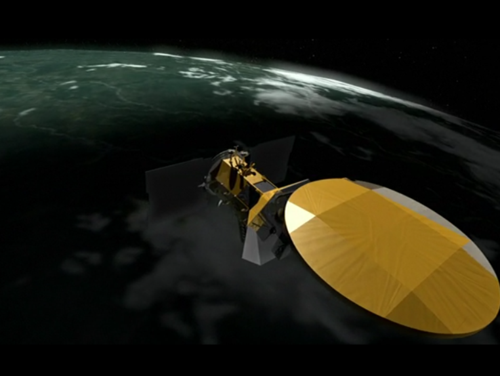 This short NASA video focuses on the Aquarius satellite, which was launched in 2011 to observe how variations in ocean salinity relate to climatic changes. 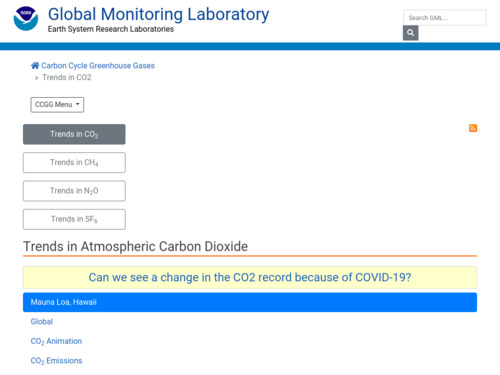 By measuring salinity globally, Aquarius shows the ocean's role in climate change and climate's effects on ocean circulation.